On my way, I met my soul mates, and we spoke about my innermost desires, my most beautiful dreams, and my greatest fears. We shared joys and sorrows, sun and rain, and often also a bandage. 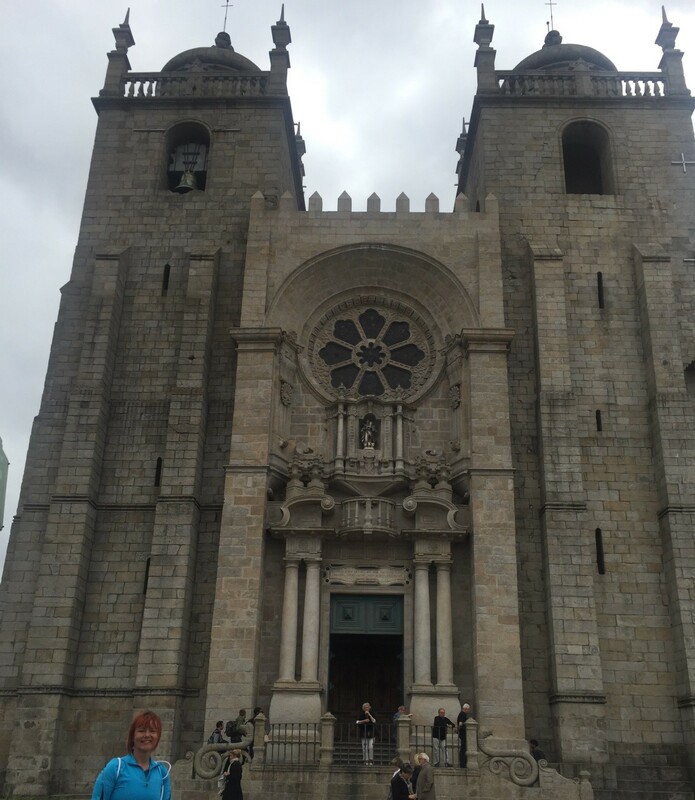 During the twelve stages of my trip from Porto, Portugal, to Santiago de Compostela, Spain, I experienced all the facets of my feelings—I laughed my laughs and cried my tears. 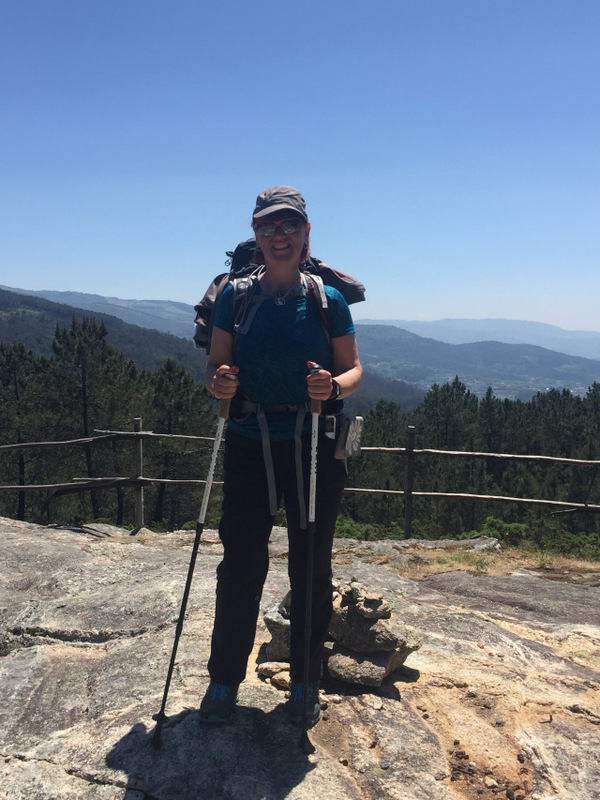 The Camino never left me, and it always led me safely to my destination. Instead of answering my questions for me, the Camino gave me pointers. It also taught me to distinguish the “important” from the “unimportant,” to concentrate on myself, and to listen to my inner voice. The path took me to my physical and mental limits but never beyond. It gave me happy moments and developed trust in my own power and strength. I learned to love the rain and enjoy the sun. Despite all the blisters and pain, I walked every day, breathing deeply and freely. My steps created a certain rhythm; the clatter of walking sticks became a meditation; the beauty of the landscapes was my cathedral. I am quite sure, Camino, that I’ll be back. Yvonne is someone whom I wished I had had run into in Santiago, but she was a few days behind me. 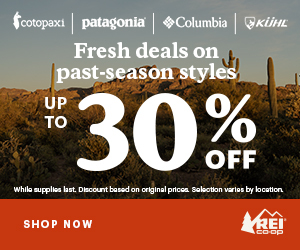 I did, however, see Facebook photos of her in Finisterre (the end of the earth) with our mutual Camino friend, Miguel. 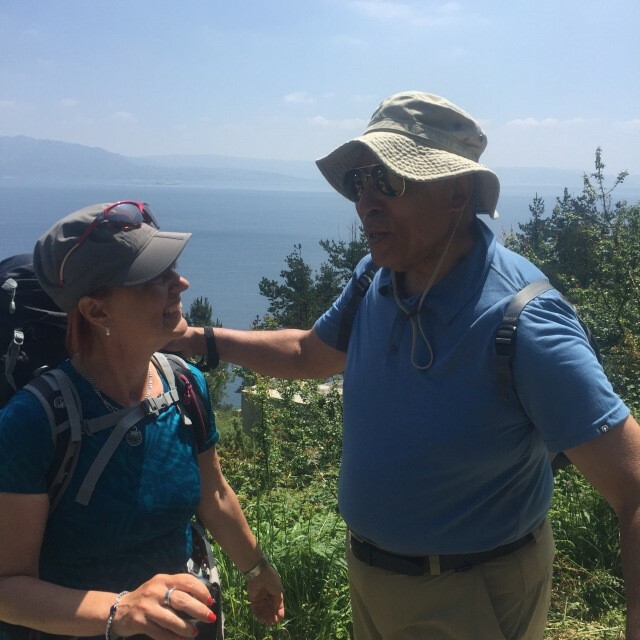 He and Yvonne are two of the wonderful people I will always remember from my first Camino. Yvonne lived in San Francisco for a week with a host family to study English. I hope to see her again in the Bay Area or on our next Camino. 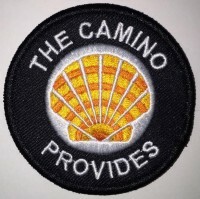 In the meantime, I will be following her blog, Mein Camino, which I have added to my ” Favorite Camino Blogs” page. Es sind Seelenverwandte, die ich auf dem Weg traf. Mit denen ich über meine innersten Wünsche, meine schönsten Träume und meine größten Ängste sprach. Wir teilten miteinander Freude und Leid, Sonne und Regen und manchmal auch nur ein Pflaster. 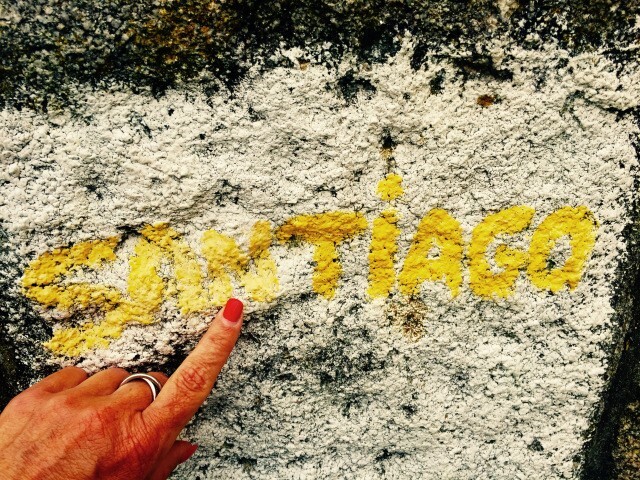 In zwölf Tagesetappen von Porto nach Santiago de Compostela habe ich alle Facetten meiner Gefühlswelt erlebt, habe mein Lachen gelacht und meine Tränen geweint. Aber der Camino lies mich dabei nie allein und führte mich sicher vorwärts, meinem Ziel entgegen. Ich lernte, den Regen zu lieben und genoss die Sonnenstrahlen.